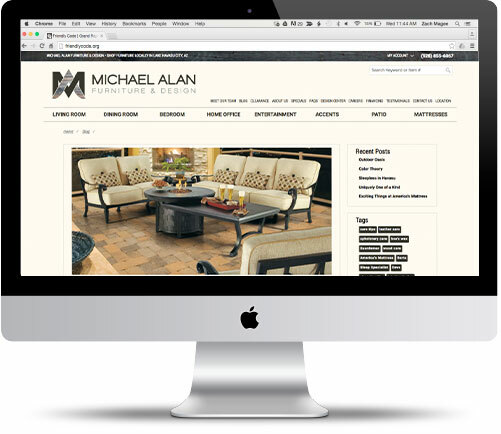 I was tasked with adding a blog to one of our clients using WordPress. After discussion with my team we decided WordPress has more then was needed for our clients blogging purposes and we wanted something built in to our own CMS. The blog Feature I built for our V3R template uses php, jquery, MySQL, and a additional table to the V3R database. It includes filters for tags, dates, and recents posts. Permissions were added to give clients access to create there own blog posts. I also used the Facebook and Pinterest API’s to allow users to share individual posts directly to their profiles.